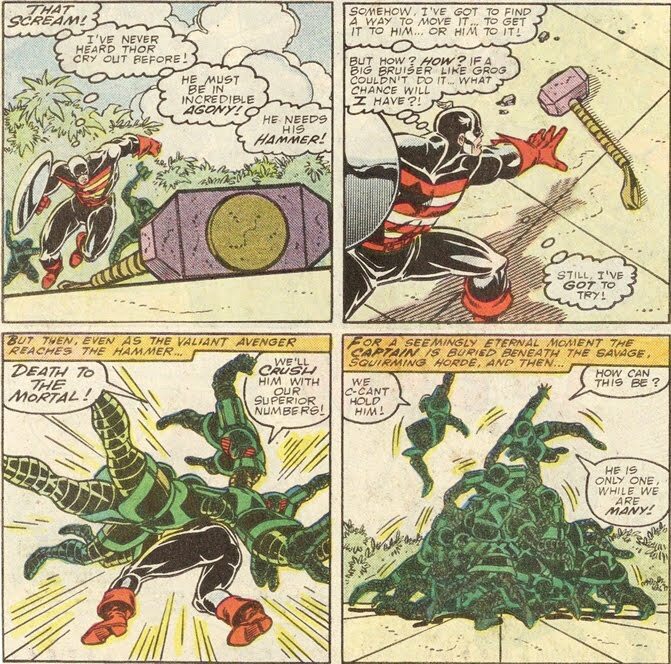 Every day on the inter-webby, someone deservedly praises Walt Simonson's run on Thor. But critical acclaim seems to take a long walk off a short plank when it comes to who came next. However if you delve into uncharted territory you will find this tasty wee number, where the God of Thunder gets upstaged in his very own book. 'Captain America' has been stripped of his title by the U.S. Government and now runs around in red, white and black answering to the name 'The Captain'. Plus after Armour Wars in the pages of Iron Man, Steve Rogers has fallen out with Tony Stark (Cap takes on a new identity while thinking Iron Man's a div - sound familiar?). 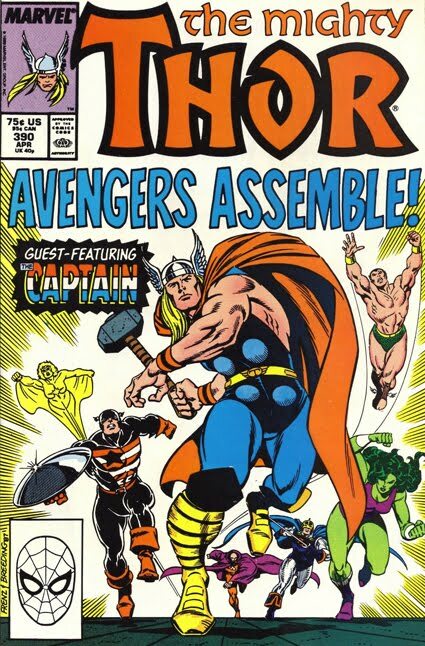 Still the Odinson has little time to contemplate whether Cap is the world's latest punching bag or an unbalanced nut-job, before an army of Egyptian Gods seeking to invade Asgard gatecrash his homecoming, hoping to take Thor out of the picture before their assault. With only Black Knight and The Captain on hand to try and keep up with the God of Thunder, Thor is quickly overwhelmed and separated from his bad guy whacking apparatus - Mjolnir. Hope against unimaginable odds is an awesome super-hero scenario when pulled off as well as artist Ron Frenz does it here. 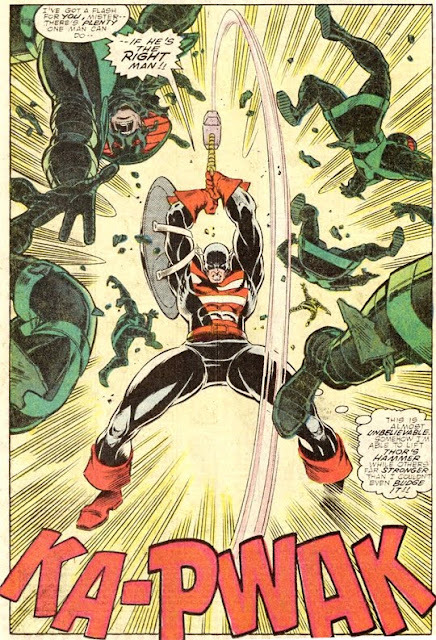 In one epic 'Now That's A Splash Page' moment, Cap turns the tide of the battle, proves his nobility, and that Iron Man is well and truly - a div. To hear the classic Shakespearean line Thor uses to dust off the rest of the dangerous deities, grab Thor #390 at your usual comics source. I like the Red, White, and "Blue", Captain America best. Nevertheless, and in either case. Who better as, the "Right Man"?